Hi All! I finally got some wood pallets. We were going to use them to make a pallet fence at one end of the pool for privacy. But at least one or two boards are cracked on each pallet. So, you know what that means, YAY! 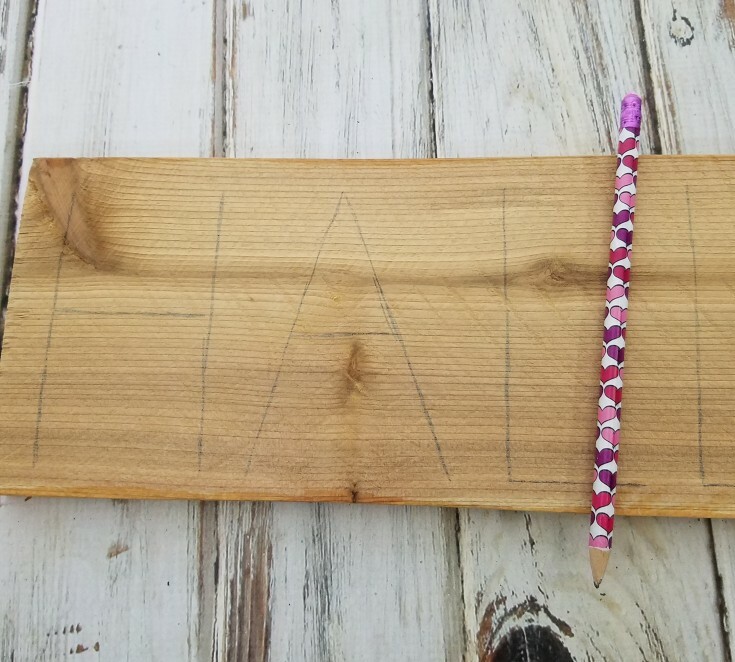 Linda has pallet wood for crafting. 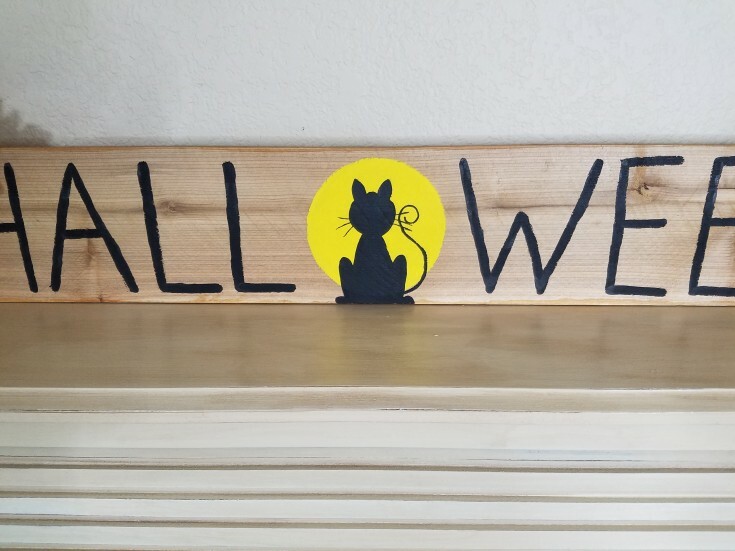 Like this Halloween Pallet Wood Sign. First, I gave the pallet board a quick sanding. 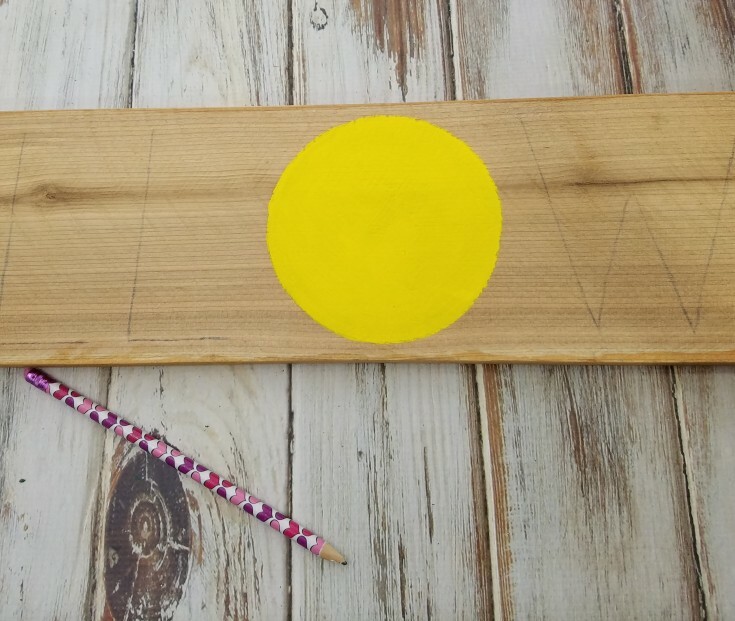 Next, I added a large circle in the center of the board for the moon. Then I penciled in Hall – ween. Using yellow acrylic paint, I gave the moon two coats of paint. 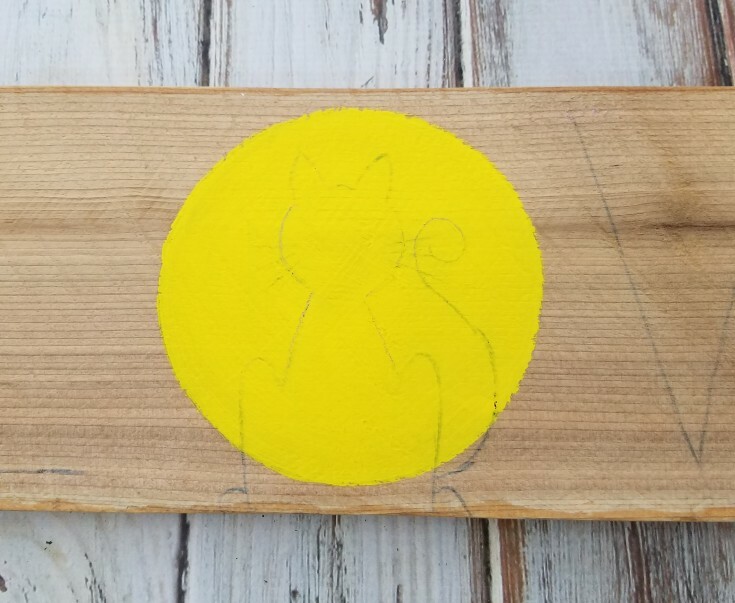 I didn’t have a cat stencil, and I couldn’t find a black cat pattern in any of my pattern books so I drew my own cat. Then using graphite paper, I traced it on top of the moon. 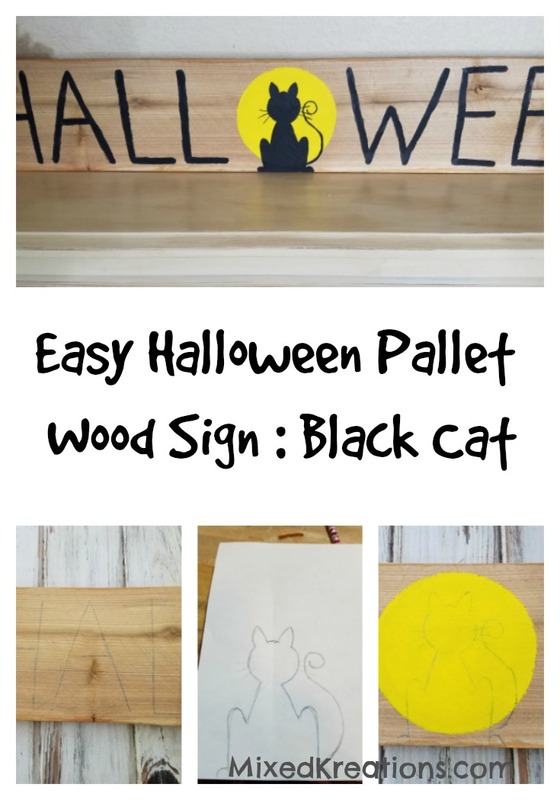 Black acrylic paint was used for the letters, and the black cat. A fine detail paint brush was used for the cat’s tail, and whiskers. 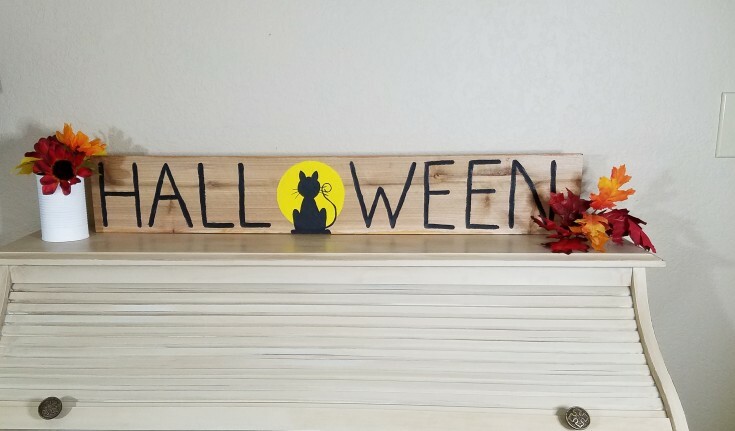 This Halloween pallet wood sign is just one of the many signs to come now that I have some pallet wood. What kind of thing do you like to make out of wood pallets? More Holiday Signs You May Enjoy! Your Halloween sign turned out great, Linda! You did a wonderful job drawing the cat. It’s adorable! Thank you Julia! It was a fun sign, and way pretty simple to make. Thanks for stopping by! This is so cute for Halloween Linda, I like that the background is not painted, it really makes the letters stand out and look great! Thank you Katrin! I like the natural color of the pallet wood too. I’m glad that they stand out, I was a little worried about that. Linda, your black cat sign is darling! Love the silhouette in the moon. You come up with such creative ideas… pinning in my halloween folder! Thank you Wendi! This pallet sign was kind of a spur of the moment sign, but I’m happy how it turned out. Thanks for pinning! Linda this is just too too adorable. The cat looks so cool in front of that full moon. And you did a fantastic job of drawing that cat. I think you are all ready for Halloween! Thanks Mary! I have a few things made up, but they all go to my booth. Since we go to bed so early we don’t decorate for Halloween, or for really any holiday, except maybe some for Christmas. That is so cute Linda! I would no more have been able to draw a cat that good free hand than a man in the moon. Ha. You’re a pretty good artist! Your sign looks great! I am not an artist. Pinned. We need some pallets. Thank you Florence! It really way to hard, and then I just folded the paper over and traced so that both sides would look alike. Thanks for pinning! Thank you Michelle! No I wouldn’t mind at all. Can’t wait to see your mosaic silhouette. Oh my goodness. I love this! I am a cat lover, so I love all the black cats at Halloween. 🙂 I can’t believe you sketched all of this free-hand. Amazing. It looks great! Thank you Amy! I kind of cheated on the cat. 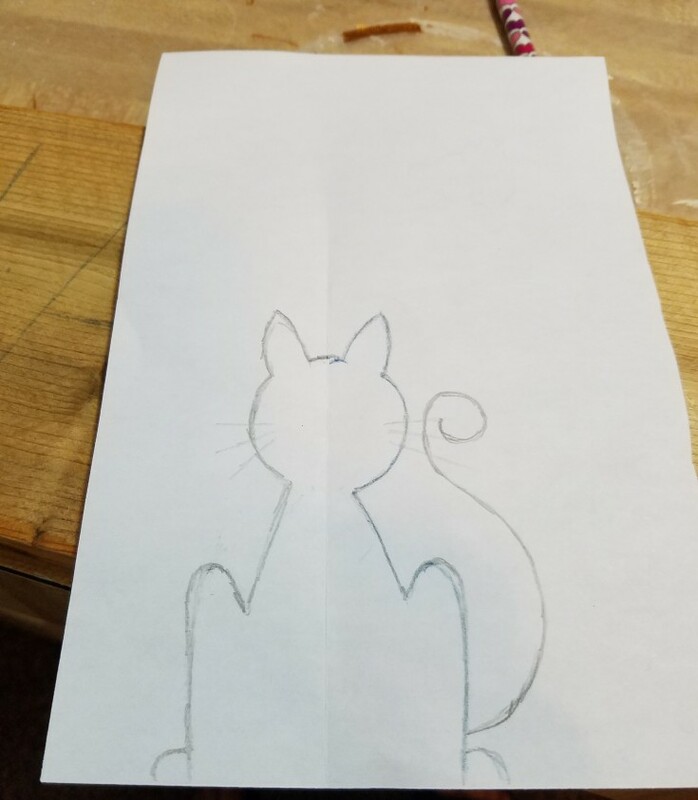 I drew one side, then folded the paper and traced the other side and added the tail, and whiskers. That way both sides were evenly matched. Awe! I like this….a friendly kitty. So many have them looking evil. As a black cat lover, I like the friendly versions! This is so cute! Thank you Deborah! I think that I love the friendly kitty’s better as well. How cute is this sign!!!! Love your cat! Can’t wait to see all of the other signs that you make! Thanks Sam! Now I just need to find some time to take the pallets apart. Seems like they put 5 nails in each board. It’s a pain! Linda, this is so simple, but so adorable. I love it. 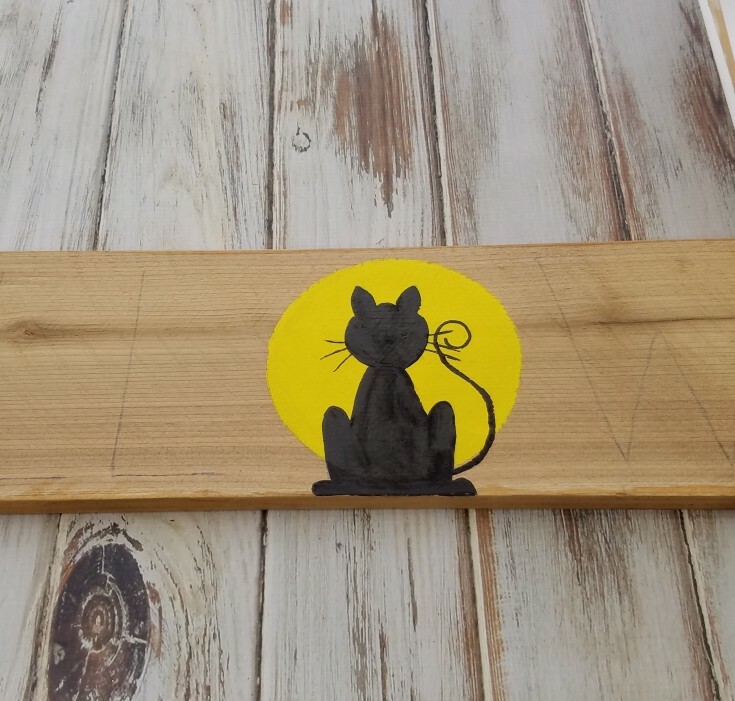 The cat silhouette is perfect and the yellow moon sets it off against the pallet wood. Thanks so much for sharing this! I’m off to find some pallets!!! Thanks Nikki! I think a pillow with a moon and a black cat would look amazing! Now that the weather is getting cooler I am hoping to get out and start taking some of the pallets apart. That is a pain, and I don’t like to sweat. 😉 They have like 5 nails in each piece, I cracked some so I stopped.